Through field trips, discussions with architecture and design professionals, and hands-on activities over the course of one exciting week, City Studio students learn to see their city in a whole new way. By week’s end, they'll develop a new, nuanced understanding of the city we live in and some of the ways that design is implemented to change an urban area for the benefit of its residents. On the first day of City Studio, we met with members of the Johannas Design Group, a firm known for their preservation, renovation, and design projects including iconic Richmond locations such as the National and the Boathouse. We went on a walking tour of the Oakwood neighborhood with Kimberly M. Chen, principal preservation planner for the city of Richmond, where campers discovered how historic and contemporary designs are blended all around us through infill building practices. Campers drew inspiration from our very own area and began making their own architectural models. They then met Oakwood Arts’ artist-in-residence, Massa Lemu, at his studio, where he shared his upcoming installation with them. Campers started off the third day by taking the GRTC bus downtown. VCU Mathematics instructor Kristina Anthony met us at the Canal Walk and site of the RVA Street Art Festival, where we solved puzzles using math and logic. We then went to the BridgePark office where BridgePark president Ted Elmore talked to us about the process of making design dreams come to fruition, and campers designed their own bridge parks. Elmore also took us to the Hunton & Williams office on the top floor of the Riverfront Plaza east tower to look out over the bridges downtown. Campers began their final day of City Studio at the City of Richmond Observation Deck, looking out across the complex urban landscape we call home, and talking with city planners such as Kimberly Chen and Leigh Kelly. 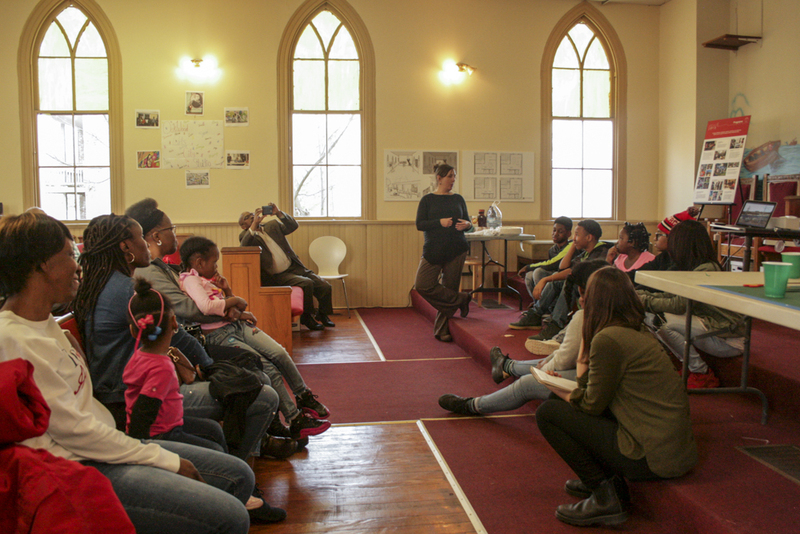 Next, we met with Kristina Anthony again at the Old City Hall, where she led an interactive activity about fractals. 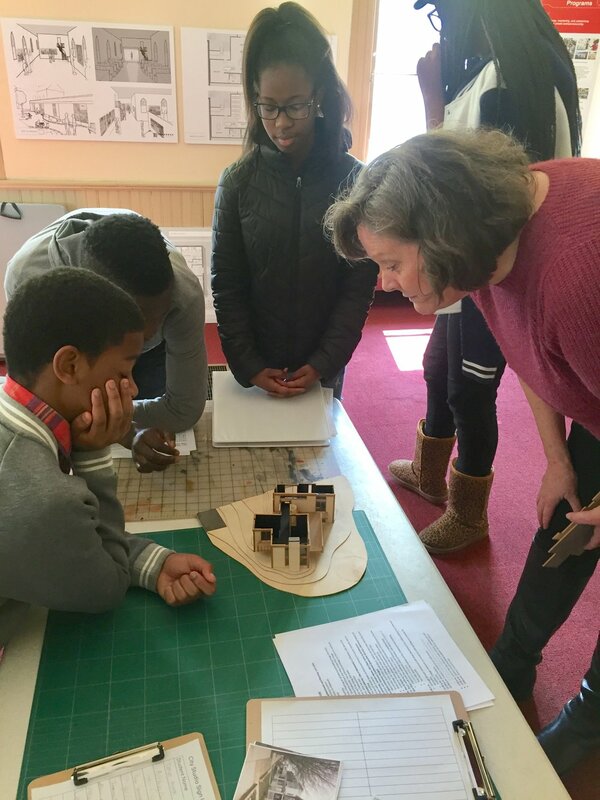 After that, Ashleigh Brewer and Jeisson Armas from the Johannas Design Group taught the campers how to use the architectural modeling program SketchUp at the Richmond Performing Arts Alliance digital lab. On day two, regional transit advocate and organizer Ross Catrow shared the history and politics of public transportation with campers, and gave the students tips on navigating the city using the GRTC bus system. Together, we took the bus to Shockoe Bottom and toured the renovated Main Street Station with the architects and the contractor. Afterward, we went to the Sarah Garland Jones Center, where Johannas Design Group architectural associate Jeisson Armas presented the architectural plans for the J. Sargeant Reynolds Culinary School at 25th and Nine Mile Road. 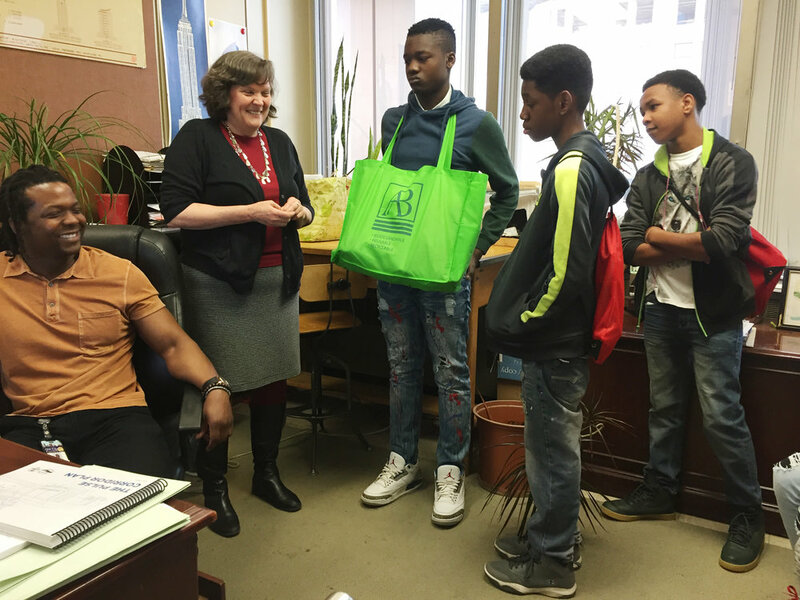 We wrapped up the day with a surprise visit from City Councilwoman Dr. Cynthia Newbille. On day four, we took the bus to Jackson Ward and met up with artist Hamilton Glass at ART180. Glass took us on a walking tour of a few of his murals and spoke to the campers about his artistic process and how he incorporates some of the history of the Jackson Ward neighborhood into his work. We then walked to the Black History Museum, to learn even more about the history and many of the prominent figures of Jackson Ward. We closed the day out with gelato from Stoplight Gelato and an amazing talk about the “untold” history of Maggie Lena Walker delivered by Free Egunfemi of Untold RVA. We wrapped up the week with a closing reception at Oakwood Arts. Family and friends gathered to celebrate the City Studio campers' work and were treated to a slideshow and exhibition about our amazing week. 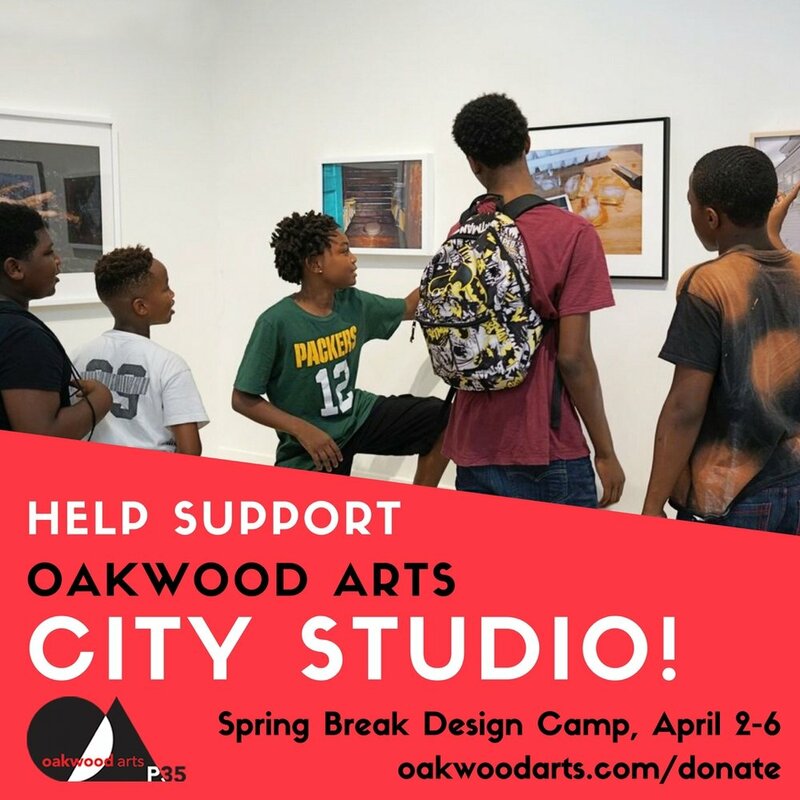 While we were all a little sad that camp came to an end, we look forward to our participants continuing to engage with local architecture, design, and art through Oakwood Arts for many years to come. 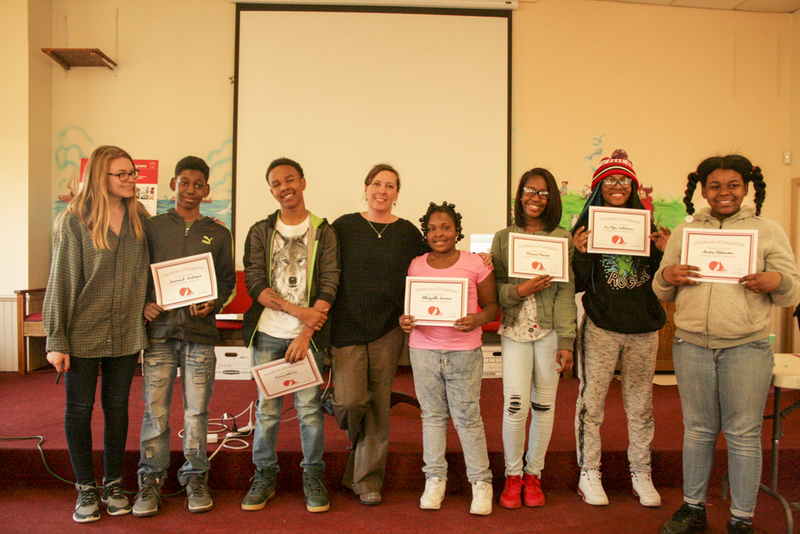 Our current City Studio participants join us from our partner organizations in the East End, including Peter Paul Development Center, Salvation Army Boys and Girls Club, and Anna Julia Cooper Episcopal School. 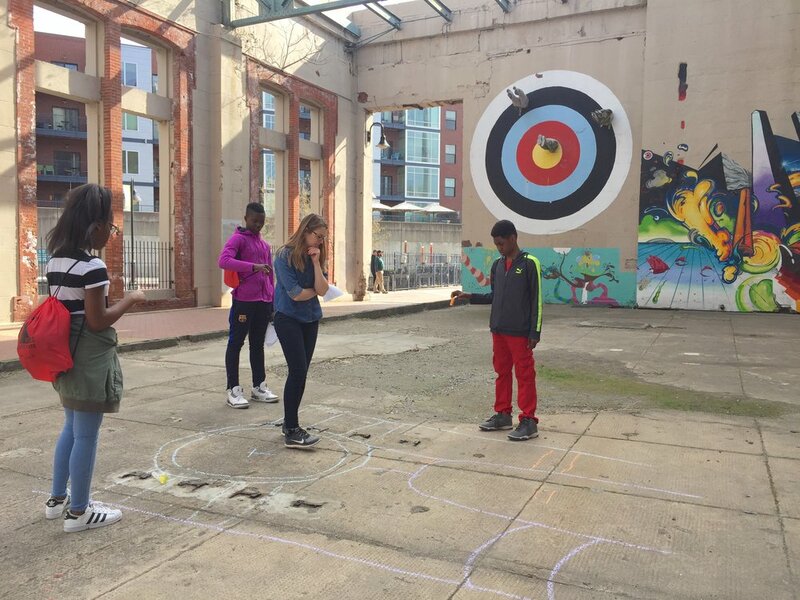 Help fund City Studio, an immersive urban design program we piloted during Richmond Public Schools’ 2018 spring break. 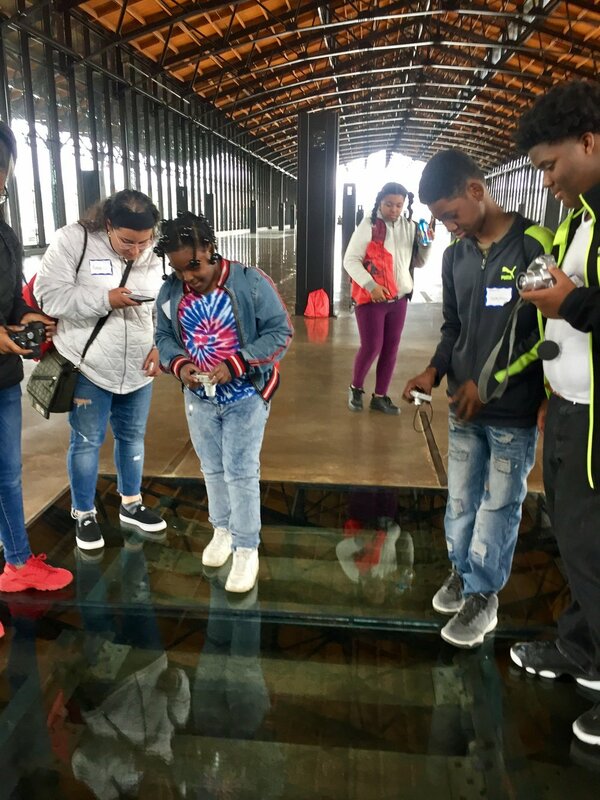 Over the course of the week, 10 middle schoolers from the East End were introduced to architecture, landscape design, and urban planning through field trips, conversations with a range of professionals, and various hands-on activities.